Smooth crabgrass emerges in the spring before large crabgrass. Smooth crabgrass emergence begins slowly when soil temperatures in the upper inch of soil reaches 54F for seven days and moisture is available. This 54F soil temperature occurs many times when the dogwood begin to flower and the forsythia flowers begin to fade. The current soil temperature for Columbus, Ohio is 41F which is 7.6F lower than the 5-year average! Visit this website to track soil temperature for your area: http://www.greencastonline.com/tools/soil-temperature . Based upon the current 10 day forecast, crabgrass preventer does not need to be applied until sometime after April 10th and likely much later. Waiting to apply crabgrass preventer until just before emergence will ensure control of smooth and large crabgrass later into the season. Peak crabgrass emergence is from mid-May to July 1st. 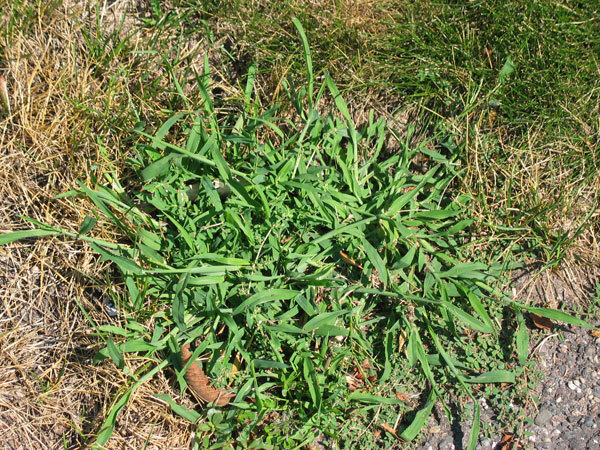 Crabgrass preventer must be applied before plants emerge, otherwise it will not be effective. After applying the crabgrass preventer irrigate the lawn to get the herbicide incorporated into the soil.